Traveling to Bali is so much fun especially for those whose best hobby is traveling and this happened to me a lot. The island of GOD, or well-know as Bali , the most important and one of the most famous islands in the world , just like my third mother land instead of Jawa , and West Kalimantan. The first island was the place where I was belonging, the second one was the place where I was staying now. I was so lucky to visit the island many times since the beginning of 2005 until the end of December 2010. Perhaps ten times visiting to Bali,. awesome right. According to my travel notes , there are lots of hotel in Bali that I have been staying since 2005 until the end of 2010. The following hotels I used to visit were Legian Paradiso Hotel, Adi Dharma Cottage Legian , Hotel Puri Ayu Denpasar , Puri Dalem Hotel Sanur , Hotel FAVE Kuta , Ratna Beach Sanur , Puri Kelapa Garden Sanur , Hotel Bali Summer Kuta, Segara Agung Hotel Sanur and Pop Harris Kuta. Insya Alla I will tell the stories in future, Insya Allah. I am not promising. 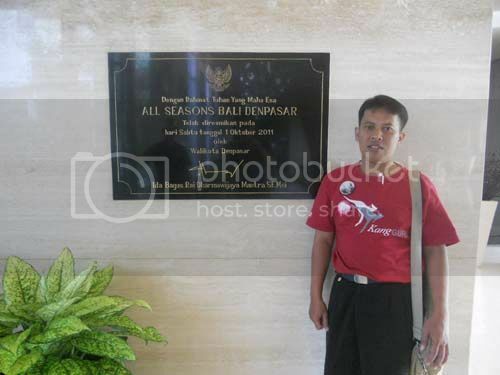 My latest visit to Bali happened in 14 t0 17 December 2011 along with the other six Kang Guru Indonesia champions get together again at Indonesia Australia Language Foundation (I/A/L/F) building located in Jalan Sesetan Denpasar Bali. The main program we did together during that period of time was helping the Kang Guru Indonesia pack up in the office including a small nasi kuring and farewell party. Today's stories was about the hotel we are living in, All Seasons Bali. All Seasons Legian Bali located in Jl. 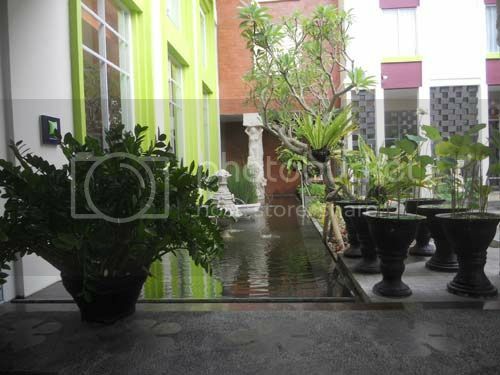 Padma Utara Legian 80361 Legian Bali. I could have searched the whole areas of the hotel during I and the other Kang Guru Indonesia champions stayed in the hotel last 14 t0 17 December 2011. I have planned to search the whole areas in the hotel, but hardly find the spare times there at the time. Since it was a great pity that I was not able to. Free Wi Fi in all areas including in our room. Unlimited Wifi access included in the price of my room. 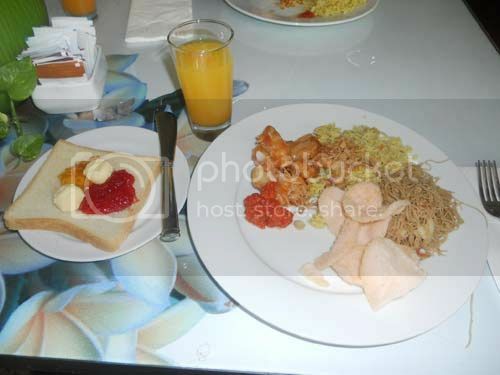 Other facilities are double beds, plasma or LCD Tvs, good breakftast, Tea and Coffee free available in the hotel. At all seasons , the screen are flat and the beds are big. Other facilities I saw were the swimming pool (I cannot swim remember-red) , restaurant , and many other excellent services. 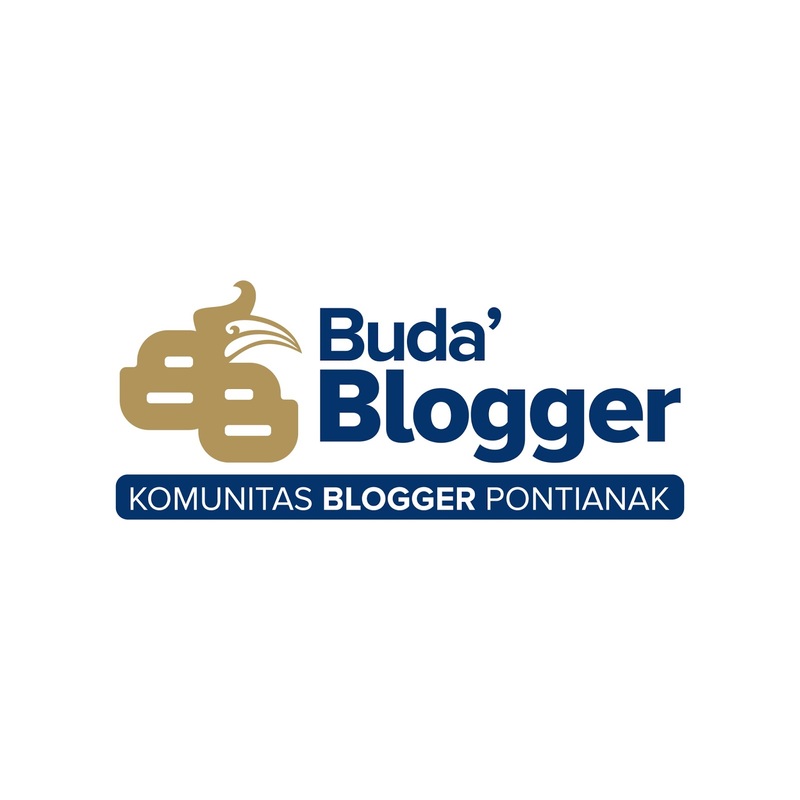 I have AA Club member and I supposed I will get the poin reward for this, unfortunately the staff of the hotel confirm that I will not get anything due to the hotel arrangement conducted by my agency, Kang Guru Indonesia. I think I can accept it , based on my trip arrangement, every thing have been controlled and conducted by Ogi Yutarini, project coordinator from Kang Guru Indonesia. We just take it for grant. The hotel has been officially launched in October 1st, 2011 on Saturday by the mayor Denpasar Ida Bagus Rai Dharmawijaya Mantra SE.Msi, and I could read from the banner inside the lobby at the hotel. According to the official website of the all seasons , they clearly stated the total number of the room was 113 which consist of 78 superior rooms with a modern influence and 29 deluxe rooms. I have taken some photos during my stays at the All Seasons Denpasar Bali on this posting. All photos were original taken by me with using Canon Coolpix 12 Megapixel, unfortunately I forgot the name of type of the camera. Telling you the truth that the camera was not belong to me. 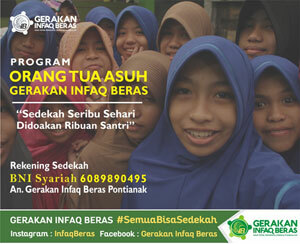 I borrowed the camera from Mr Ngatiran, a staff at FKIP Untan in Pontianak. You can see the photos above and below at the same time. 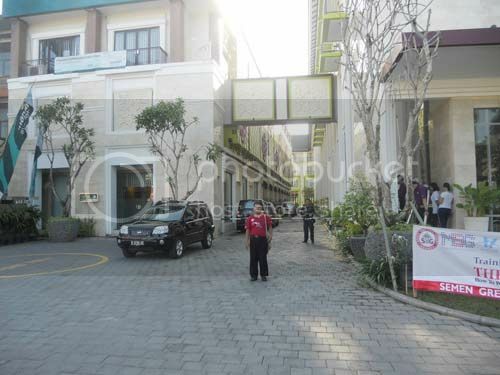 I did not use the laundry facility available at the All Seasons Denpasar Bali . I could have taken your clothes for laundry services anytime you feel like it. If you want to use the facility with your own need, is all up to you. Based on my traveling experiences, I always count the day of the visit with the number of the clothes I would like to wear on. Food and meals every one? Well this is one of my fave subject that regarding food and meals during traveling. Instead of having meals out side of the hotel where we live in, we may also use all facilities for the guest including having meals at the restaurant inside the hotel. 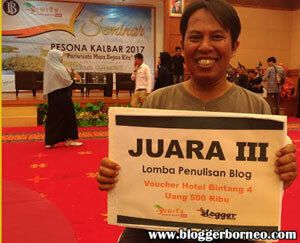 This happened to me and all Kang Guru Indonesia champions at the All Seasons Denpasar Bali. 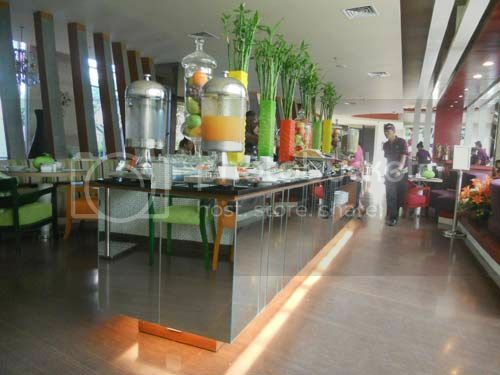 We used meal coupon or meal voucher at the All Seasons Denpasar Bali . We have been staying at the hotel for three days, and it also mean that we have had three primary meal coupons for the days. One single meal coupon valid for the day and for the two of us. You only just show your meal coupon to the staff or guard at the restaurant. 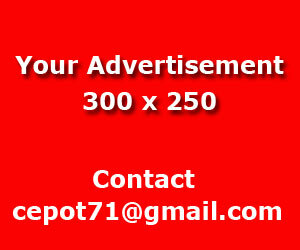 You may also tell the number of your room for their database. The following were photos I have taken during having meals at the All Seasons Legian Bali. A glass of orange juice will always become my priority whenever I was having meals. I love it due to the taste was so fresh and healthy drink ever, and a friend of mine , my room mate , Syahir Badulu from Makasar , would love to drink the same orange too. What kind of food do you like? Well I would love to eat nutritious food with good taste too. When staying at Legian Paradiso Hotel located in Kuta in 2007, I always love to have bread with Switzerland butter along with Pineapple and Strawberry jam together. The butter was really good, soft and healthy. I would love to have the bread roasted and sometime without roasting them. With a slice of the bread only , I was feeling more than enough for the day. 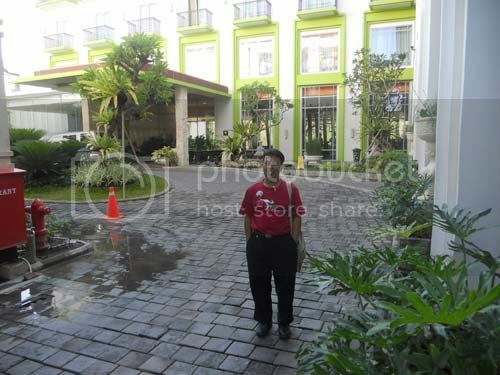 The location of the All Seasons Denpasar Bali was very perfect for local traveler like me too. 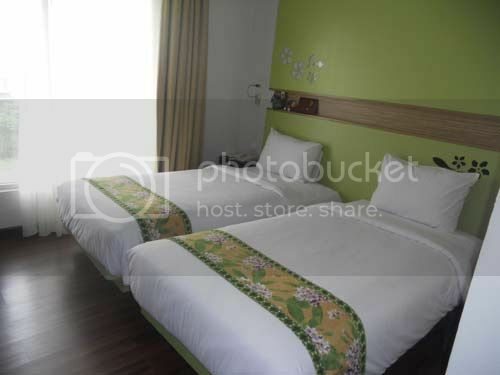 This is because of the location was very close to markets, shopping malls, local restaurants and Legian famous beach. I would love to hang around the beach especially around Kuta Beach and also other parts of Bali if I got the chances to do so. I found an art shop also available at the All Seasons Denpasar Bali here , but I supposed there was not more I can do at this section due to I was not able to get the place for my busy and tight schedule during my programs at the hotel. I recommend a friend of mine, Syahrir Badulu from Makasar , to comply with this section, and asked him whether he would like to go shopping on the art shop. We were impressed also with the speed and internet connection we got from the hotel, WIFI , which very comfortable and accessible from our room at the hotel, and we made the most of the facilities to support our online activities at night. Could I add however that we always return to the hotel especially by night and we would love to use the WIFI only at night. The WIFI facilities at the All Seasons Legian Bali was excellent. Having discussed with him in our room at the hotel, we decided to go shopping at different locations outside of the hotel, such as Joger , and Erlangga 2 by taking one cab from the hotel to those locations. It was very easy to get the cabs from the hotel, and the staff of the hotel would love to help you find the cabs. The BlueBird cab group will always become our main transportation to anywhere else in Bali, and we would love to use the cabs each time in Bali.